International Day of the Girl is celebrated in October and celebrates and highlights opportunities for girls across the globe. Over 47% of the workforce is women, and we all need to be celebrated! Women in STEM fields should be particularly celebrated, as they are underrepresented and often face discrimination working in STEM fields. Teza technologies has provided CauseScience with the infographic below to draw attention to women in STEM fields during the month of October, take a look! International Women’s Day- Scientists you should have heard of! Check out IFLScience’s twitter page with their #WomenYouShouldHaveHeardOf in honor of international women’s day! Here are a few examples. Girl power! Huge thanks to Raychelle Burks, Ph.D. for her work on this project. Scientific American is celebrating science from 2014! Check out the Scientific American readers’ top 10 stories of 2014. Also, don’t miss the Maia Weinstock’s In Memoriam post about 10 Notable Women Scientists we lost in 2014. Looking back on the year that was, science mavens may notice that tributes to those who’ve passed on in the preceding 12 months are far more often filled with stars of stage, screen, politics and sport than with the pioneering women and men who have bettered our society through discovery and invention. This is especially true of women, whose contributions to the sciences are often overlooked or underappreciated. The following list of 10 women in science who left us in 2014 offers a nod to individuals whose tireless work made the world a better place, both in their lifetimes and for years to come. President Obama congratulates @NASA_Orion team, including chief engineer JULIE KRAMER WHITE!! President Obama recognizes Orion Chief Engineer Julie Kramer White during remarks. Today I posted that the European Space Agency’s landing of Philae on Comet 67P made science history. But, I was wrong. The Philae Lander and Rosetta Spacecraft Mission has made history for HUMANKIND!!! The Philae lander is a huge step forward for space technology and science! It is also just plain exciting! 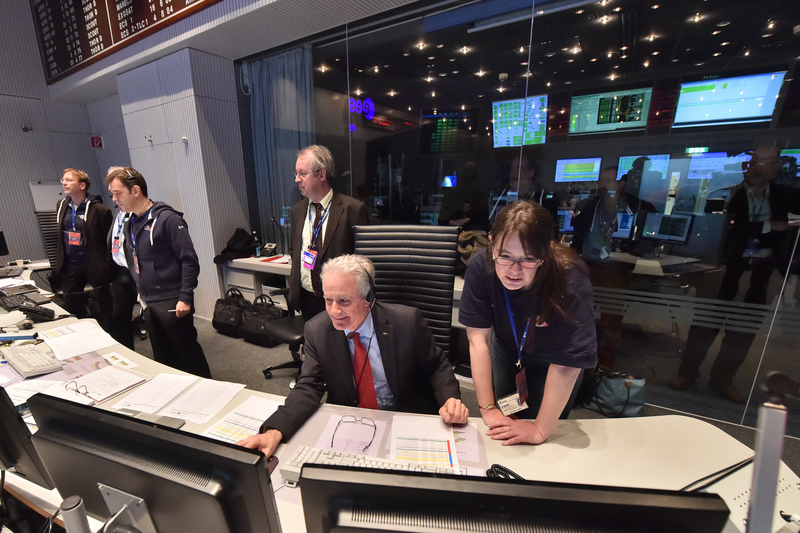 One of the coolest parts about the ESA Rosetta Mission, is that the team of scientists and engineers in charge of the Comet Landing included WOMEN! Compare this to the team of NASA scientists and engineers that sent astronauts to the moon (JoAnn Hardin Morgan was the single woman engineer at NASA during Apollo 11). However, the Rosetta Mission is not the first time women have contributed to amazing things in space. Check out Beverly Wettenstein’s long list of incredible contributions women have made in space! The ESA Rosetta Mission included at least four women who are listed as team members, but I would guess there are many more who contributed but are not listed! It takes hundreds of people — machinists, engineers, scientists, and many others — to get a spacecraft from the planning stages to its destination in outer space. The people in this gallery represent just a few of the folks who make space exploration ideas a reality. Let’s celebrate Claudia Alexander (U.S. Rosetta Project Scientist), Margaret Frerking (Co-I with MIRO instrument), Lori Feaga, (ALICE Co-I with University of Maryland), Marilia Samara (ScRI, EIS instrument), and the many other women who contributed to the Rosetta Mission. CauseScience applauds all of these women for their amazing success today, and over the last decade of the mission. These women are the best at what they do, and break down barriers for girls and women in Science, Technology, Engineering, and Math!! CONGRATS!! Please inform CauseScience if you know other women that were part of ESA’s Rosetta Mission so we can add their names! Add Professor Monica Grady to the list of Rosetta women!! You may have read about shirtgate, and how Rosetta Project Scientist Matt Taylor has been ridiculed on twitter for his sexist and embarassing choice of clothing. While it is certainly important to draw attention to his harmful behavior, celebrating the amazing women that contributed to the history of HUMANKIND is much more important! !